T17294-SS is rated 4.4 out of 5 by 8. 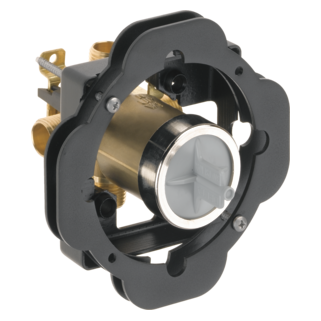 Rated 5 out of 5 by GunCrank from Quality product I from the old school of one shower head and no mixing valve. This product has gotten me updated and both me and the wife enjoy everything about this delta unit. Not only great looks, it performs flawlessly. 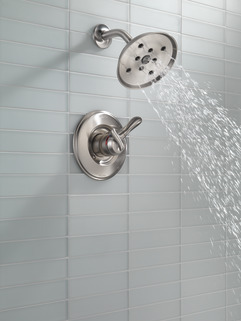 I really like the shower head. Rated 5 out of 5 by rw2019 from Looks good and works well Pressure seems good with the H2Okinetic sytem. 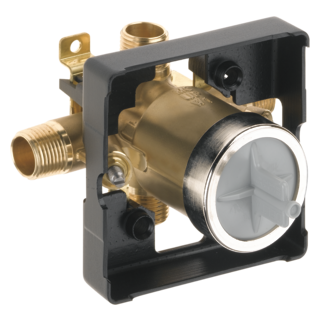 I like being able to control water temp and water pressure separately. Rated 2 out of 5 by Magrit from Dissappointed We were disappointed in the shower head. Based on the description we were expecting a special water feature with this, but nothing but plain shower head which does not even have any adjustments. 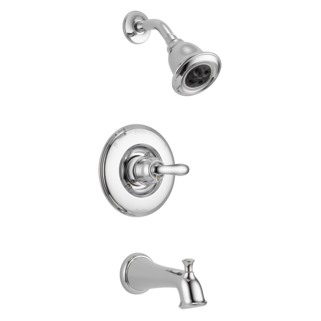 Rated 4 out of 5 by Dab from Delta has good design & material quality Delta faucets have little or no plastic parts. There instructions are very good. The “Champagne Bronze” was very attractive & modern looking in our remodeled master bath. The kit that I got included a hand held shower unit, a regular shower head & the intergrated volume/tempertaure controls. My only die appointment was I wanted a rain shower head. I could not “substitute” a rain head in place of the standard head that came in the kit, so now I have a Champagne Bronze shower head with no home. Rated 5 out of 5 by Susie from This product is everything I was looking for and plumber approved. Our plumber was happy to see I chose a Delta product for our shower. I choose the brilliance stainless steel and it looks so nice. Easy to keep clean, wipes right off. The H20kinetic is a big plus that I originally did not consider but heard good reviews about it. I'm really glad I went with this product. I am scoring 5 stars on the ease of installation based on the plumber's comments. 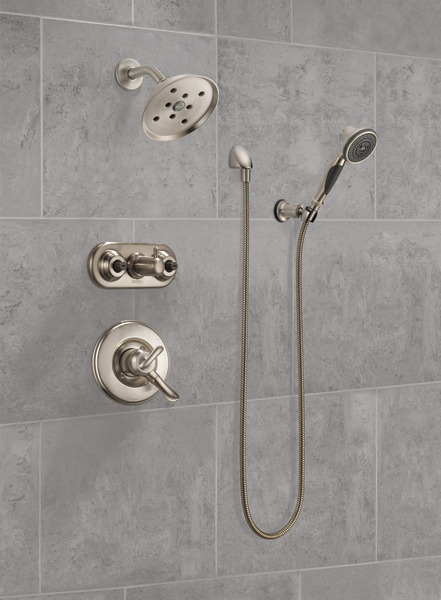 Rated 5 out of 5 by Dian1058 from Excellent Product We love our new shower! We installed the Delta Linden design series in three bathrooms in our new beach house. 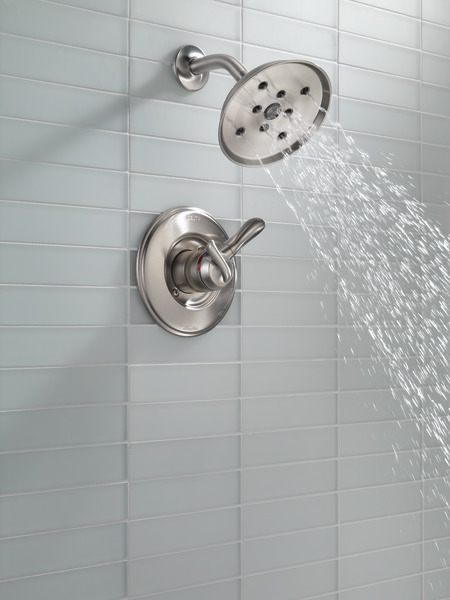 This shower head is great, the controls are easy and resists water spots. 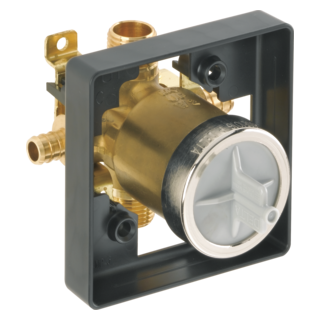 Rated 4 out of 5 by Bobs from Economical Nice valve and trim for the price. If you want better quality, pay more and buy the ceramic cartridge version. Rated 5 out of 5 by Hollywudd from Quality USA made. I installed this particular one in a rental house about a year ago and so far no complaints. I have 2 of the monitor 17 series in my house. One is 10 years old the other 5. I like the fact that volume and temperature are on separate controls. For the money I think the Deltas are an excellent buy as I have not had any issues with them at all. Great styling choices. 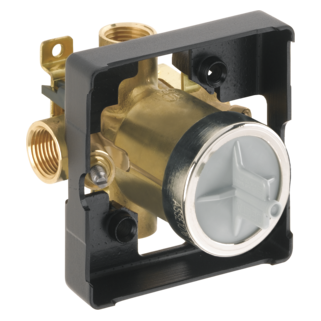 I have a customer looking to get a new hot/cold sticker that goes on the handle assembly of a # RP70640 off a T17294-SS, is that available ? 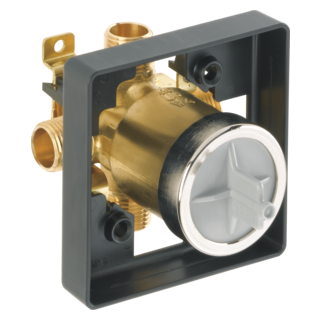 I have installed the R1000-UNWSHF Multivalve (high flow shower only) with the hot connection on the right side versus left. 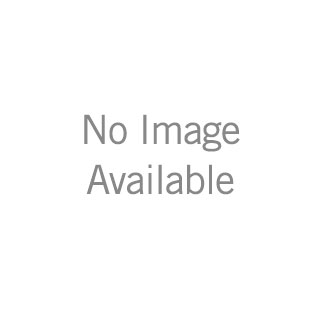 I am usinmg the T17094 Trim kit. Other than rotating the valve insert so the HOT mark is on the right side, is there anything else I need to do for proper operation and appearance? Do I need to replumb abd switch the hot/cold supplies? 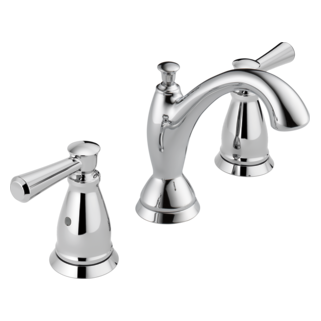 I have a model similar to; Delta Faucet model # T17294-SS which is a dual handle faucet. I would like to replace this with a single handle faucet. Are the cartirges compatible, I do not want to replace the brass housing and just want to switch out the cartridge and outer finish parts. Thank you for your question. 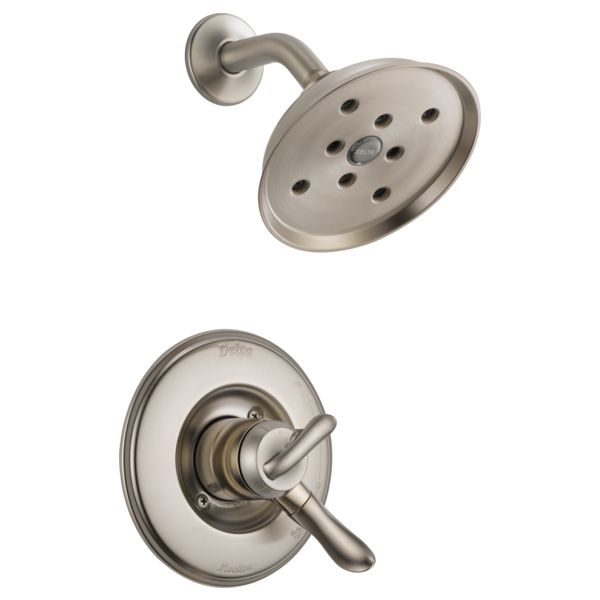 Delta Faucet model # T17294-SS is a dual handle faucet that can have the handles removed to access the cartridge. First make sure the water is turned off. Secondly, the temperature knob will pop off by squeezing the sides together slightly and and pulling on the end to remove it. Underneath it is a screw to be removed that is holding all the other peices into place. Once you take the screw out, all the other peices should just slide off. Is this one &amp; the same shower head? 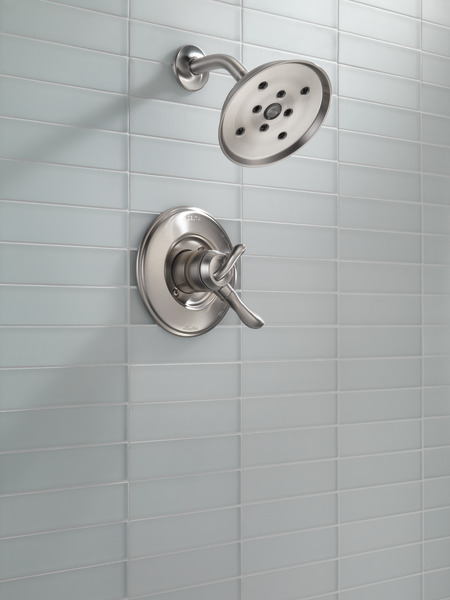 what is the diameter of the linden shower trim plate? The Linden model shows two handles, one for volume and one for temperature, but doesn't list TempAssure as a feature. &nbsp;What is the difference between this and models that list TempAssure as a feature?